If you have a taste for fine art, add this classic art poster to your dorm decor. Posters for college students often feature movie stars and rock bands, but go with something more refined and different. Your stuff for college should be fun and should definitely reflect your interests. So even if you can't replicate this painting by hand, you can let it be part of your wall decorations for dorms. 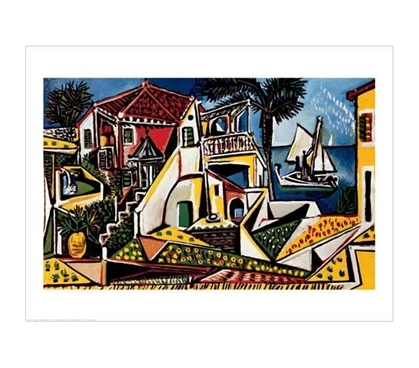 The Paysage Mediterraneen - Picasso Poster will make a refined addition to your college stuff.